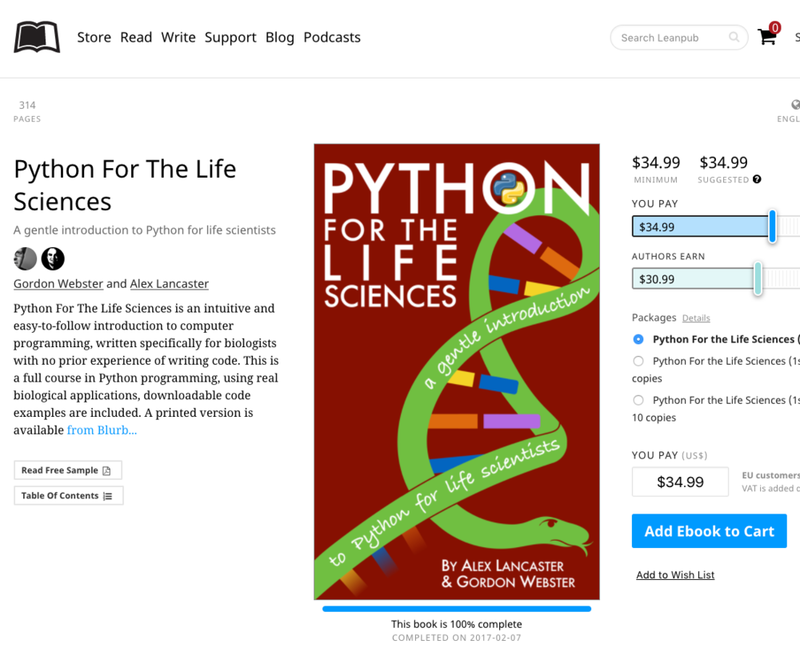 Amber Biology is proud to announce that our book Python For The Life Sciences is now available via Leanpub. Python for the Life Sciences is an intuitive and easy-to-follow introduction to computer programming, written specifically for biologists with no prior experience of writing code. The 20 chapters cover a wide range of biology from structural biology to ecology and evolution.